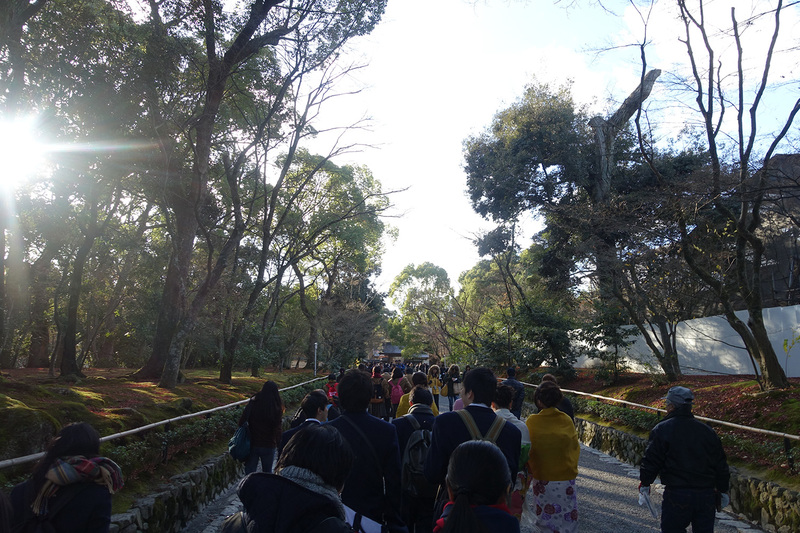 When we arrived, we encountered lots of tour groups, many for Japanese high school students so we followed the mob to the entrance. 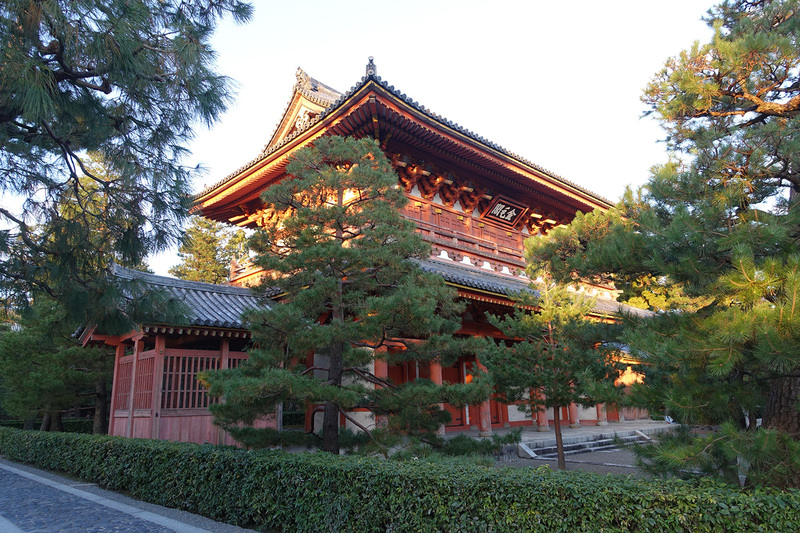 We paid the admission fee and waited patiently for an opening to get a clear view of the temple. It was worth it. 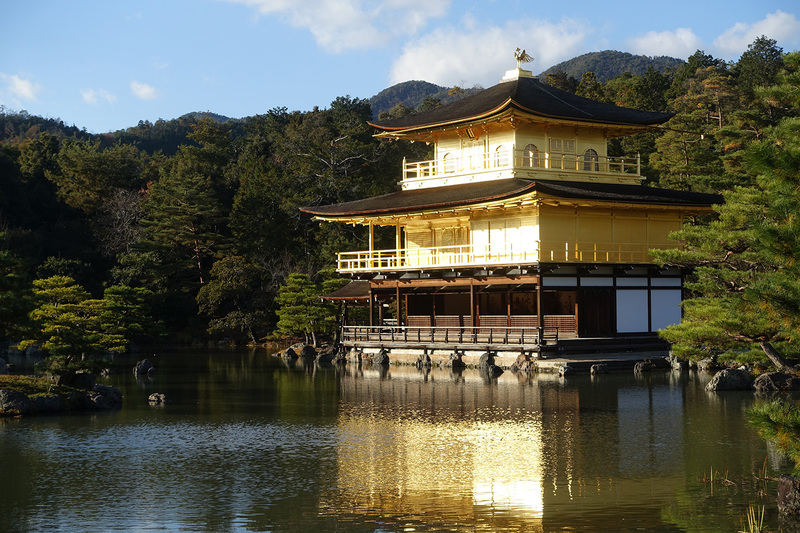 The brochures didn’t lie: the temple really is golden. The sun was setting and hitting the temple directly so it was almost blinding to behold. It was easier to look at from the side. 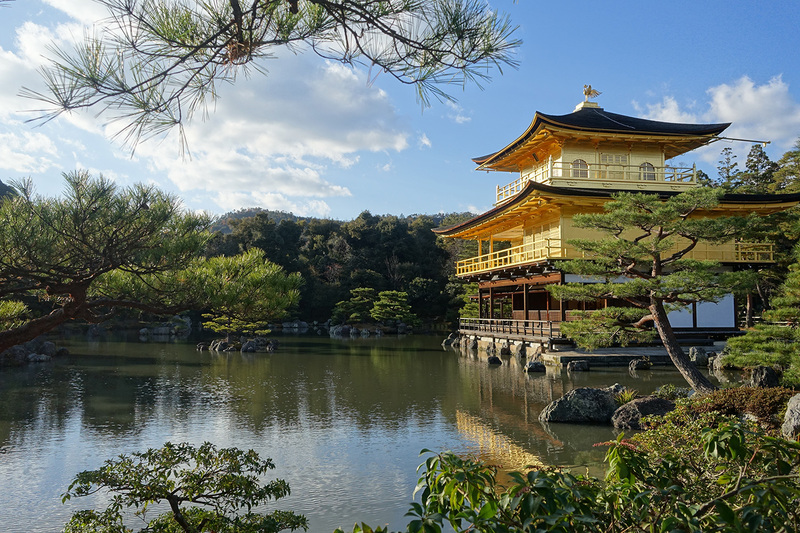 Kinkaku-ji is truly a remarkable structure and the grounds around it set it off well. 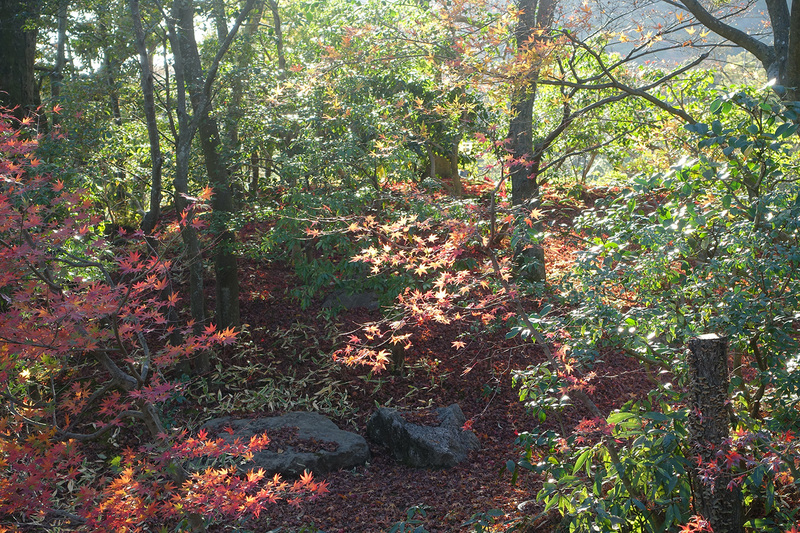 In addition to coming to Kyoto on clear days, we also happened to time our trip with the end of the peak fall colors. As we left the temple, we passed the temple bell and got our fortunes. 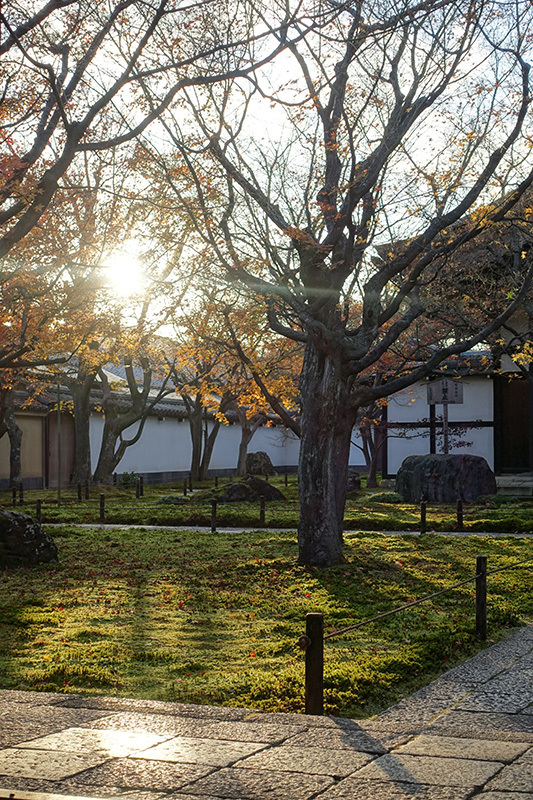 Since we still had bout an hour of daylight left, we decided to make the trek to Daitoku-ji, a temple complex of nearly two dozen sub-temples practicing Zen Buddhism. 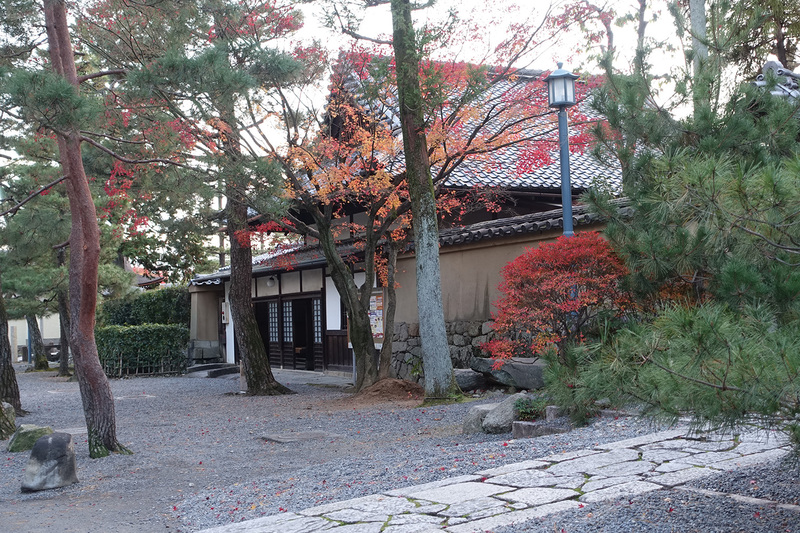 They are known for their Zen gardens so we decided to check them out. We were fortunate to be able to tour the Daisenen temple before they closed for the day, which had truly spectacular gardens. 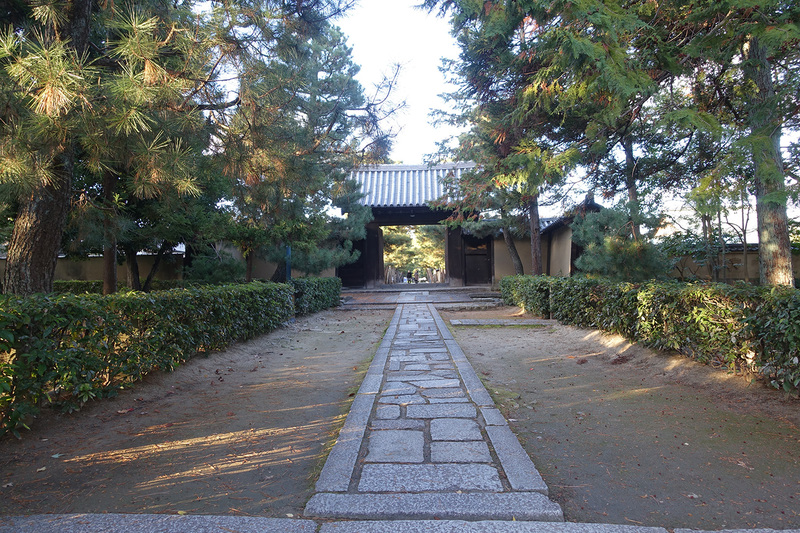 Unfortunately, no photos were allowed inside so this photo of the entry is all I was able to obtain. We were the last visitors and eventually had to be shepherded out. 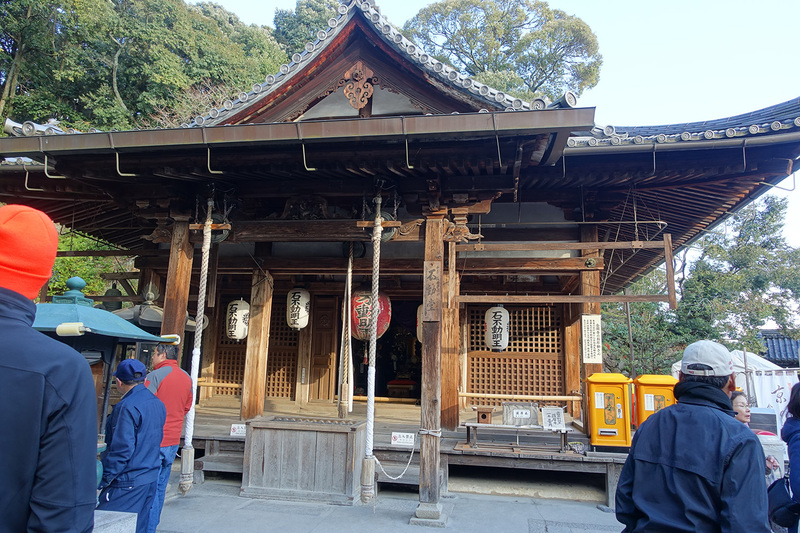 All of the other sub-temples were then closed for the day but we were able to walk around and see a few more. The sun was setting and the temperature was dropping rapidly so we exited the complex and headed for home. 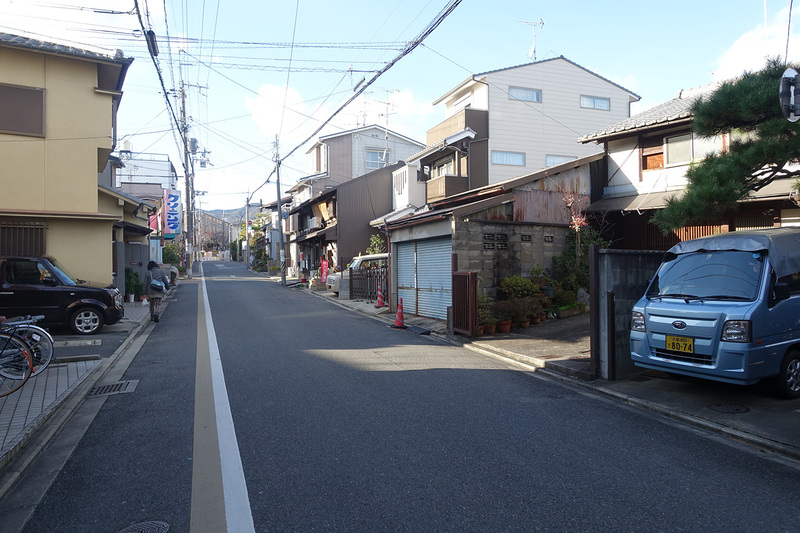 My Day 8 post is coming up – it’s our first and only full day in Kyoto in which we pack in 3 temple complexes and the Gion District. See you then!